Helpful transaction checks provide multiple pieces of information about page elements. 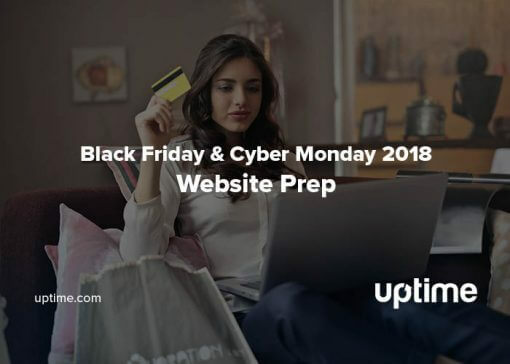 You’re not just testing that the shopping cart works. You’re also gathering load time statistics and verifying your most important elements are visible. Before you begin configuration of a check, it’s helpful to run through this list of potential items you need. Unprivileged test credentials allow you to login to forms to test backend functionality. To prevent a major security risk, our first recommendation in this list is that you make these credentials unprivileged. 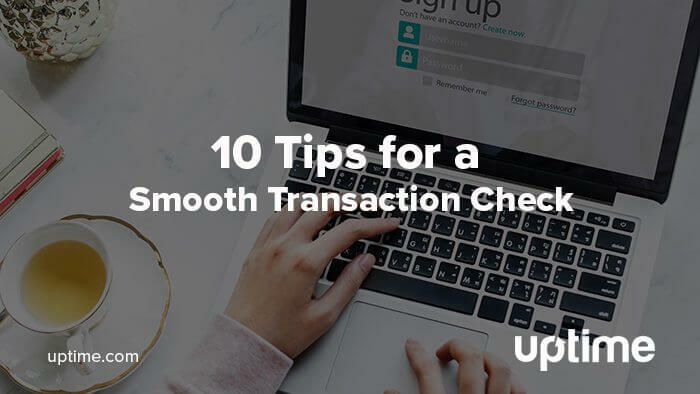 Conducting a Transaction Check with unprivileged credentials ensures uptime and tests the login forms, and you can diagnose problems once you’ve logged into your own account for internal testing purposes. You may need to create a new test user for each account to avoid “already logged in” errors and false flags. However, you can spot these errors easily using the Transaction Check’s built-in analysis tools. Shopping cart setup often involves a few test transactions, but Transaction Checks take this process a step further. Your cart may receive 200+ requests in a day depending on how you configure your check, and the interval you choose to run. Use dummy credit card information from your payment gateway to process transactions. Most payment processors offer a generator to create a card number, and instructions on verifying transactions. Those 200+ tests would also deplete your stock. Even if an item is a low-seller, there’s still a chance you could test an item into “out of stock” status. You can manually update your database to reflect your actual stock, but you will quickly find this process laborious. Instead, create fake entries. You can use this strategy for schedules as well, creating dummy calendar entries tracked to a specific account. These fake entries have infinite stock, don’t need to be checked, and won’t hurt your real inventory. Let’s say your check pings a contact form to be sure that someone on the other end can hear it. You might assign two addresses to that form, one that goes to the point of contact you want and the other to a dummy. The dummy can filter out all the test emails you use to confirm functionality. You can send downtime alerts to either a Push Notification system, or to another contact email address or phone number. Uptime.com also offers phone call alerts. Alternatively, we recommend using labels and email rules to send test emails directly to the trash. You should be able to configure rules to archive anything from test@test.com, for instance, and then whitelist emails from Uptime.com. Use the “Wait for” commands, and the “Should exist” or “Should not exist” validators to verify that a certain element is present. You also get load time statistics on those key elements. Here’s a quick use case to demonstrate why this is useful. Let’s say a particular landing page contains a form, some text and an image. Ideally, the form and text loads first so the user doesn’t bounce. The Transaction Check can test each of these elements to provide load time statistics. A properly configured check will tell you load time on elements ranging from forms to tracking pixels, and anything else you ask it to verify. Checks that are successful tell you if the form is working, but they don’t tell you if it’s processing incorrect entries properly. To properly test for a failure, use the “Wait for” element. Make sure the proper element contains the text that should display on a failed entry, such as “Incorrect email” or something similar. 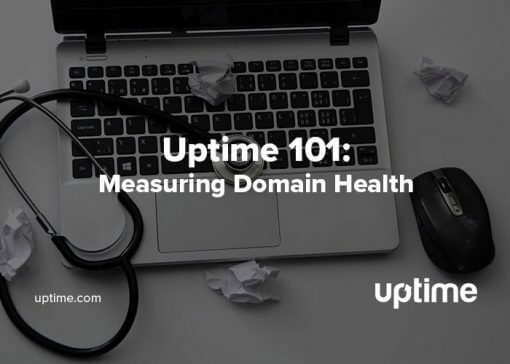 Uptime.com will visit the URL and learn the elements of that page. Once the test completes, auto-fill should work. Use this auto-fill tool to quickly locate a specific element. Remember you can use your browser’s selector to highlight specific elements on the page. In both Chrome and Firefox, pressing Ctrl+Shift+C/Cmd+Shift+C to open the Inspector. You can also right-click a specific element and click Inspect or Inspect Element. Ensure users can log in and out of the account, and that test credentials are truly logged out. Use the same kind of Check you created to login, then identify the Log Out element and add a Click Element command. Be sure to use the Should Exist validators to verify that the user is properly logged out. 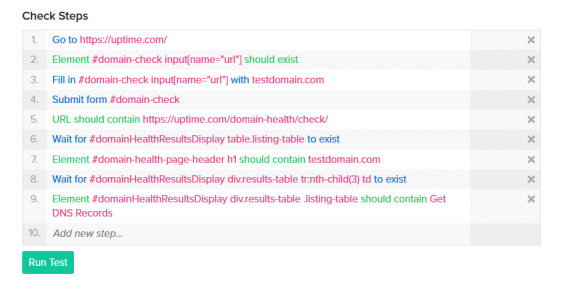 This trick is useful for tracking vulnerabilities and preventing unnecessary errors. Aside from phone and email contacts, send push notifications of downtime or interruptions directly to your team. 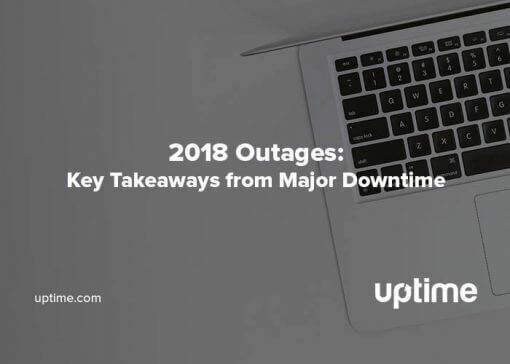 Each notification comes packaged with data useful for root cause analysis, and Uptime.com has partnered with some of the most common IT monitoring solutions. Some integrations deliver valuable metrics, allow graphs and visualizations, and can provide valuable information to specific teams or groups. You can also Escalate downtime that extends beyond a certain time period. From your check screen, click Escalations. Designate a time period that must pass for the escalation to trigger, then identify the contact that should receive notifications. The Transaction Check is as useful as your test. Consider the most important parts of your infrastructure, like sign up forms, shopping carts, log in forms, product pages and more. Repeat testing of this infrastructure keeps your team proactive. However, this testing can also play havoc on internal analytics. It’s helpful to clearly label your testing and credentials, so it’s easy to differentiate this traffic from real users. You can also run Real User Monitoring alongside Transaction checks, for an idea of user performance versus what the bot sees. Don’t forget that much of this functionality also carries over to API checks, which use some of the same commands and validators.